Q. 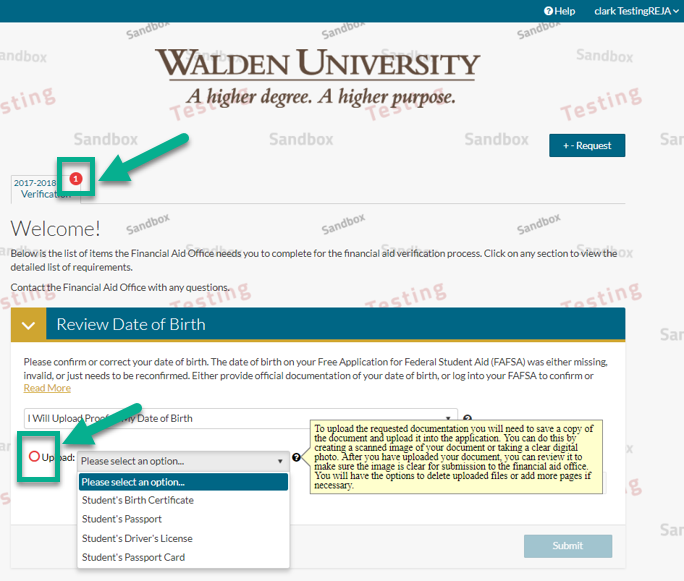 What Financial Aid document is missing? To check if you are missing Financial Aid documents please access your myFinAid Account and click on the Menu, then select "Documents". If you see a document listed as “Not Received” you will need to click the item to complete it. You may be directed to a federal website, the myFinAid Document Portal, or remain within the myFinAid Account to complete a document. If you are directed to the myFinAid Document Portal, you will see a number in red indicating there is still an outstanding task(s). The red circle or no check mark means something needs to be addressed.